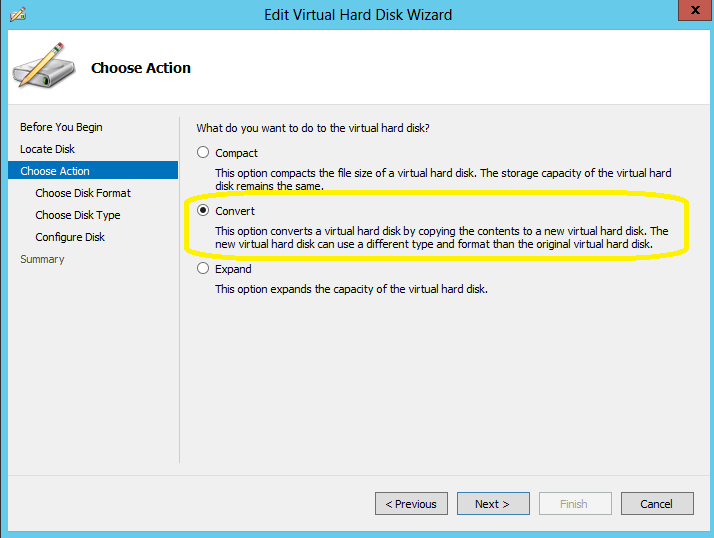 Windows 2012 Hyper-V has a new disk format : VHDX. Storage capacity up to 64 terabytes (TBs). 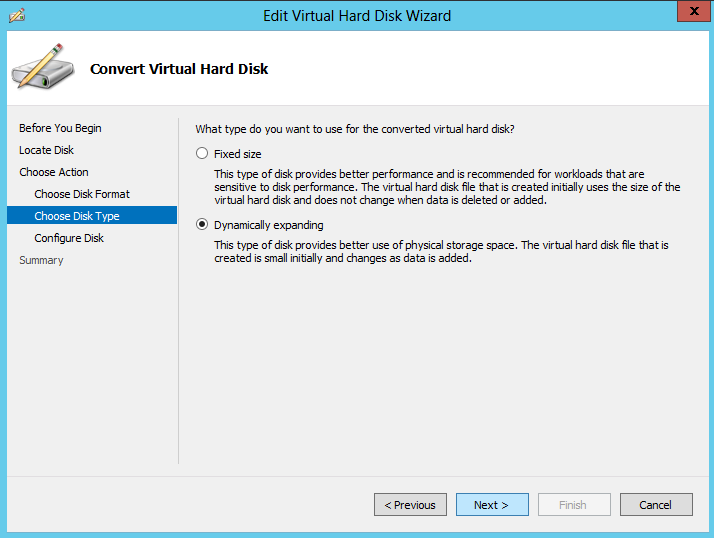 With the VHDX format we can to create larger virtual hard disks ( up to 64TB). 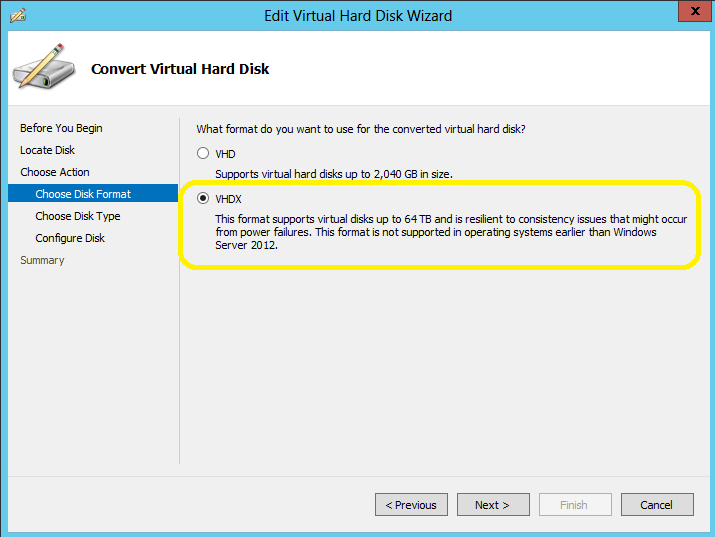 The VHD format has a 2 TB limit to VHD’s. On the Summary page, click Finish to start the process. The process time depends on the VHD size. 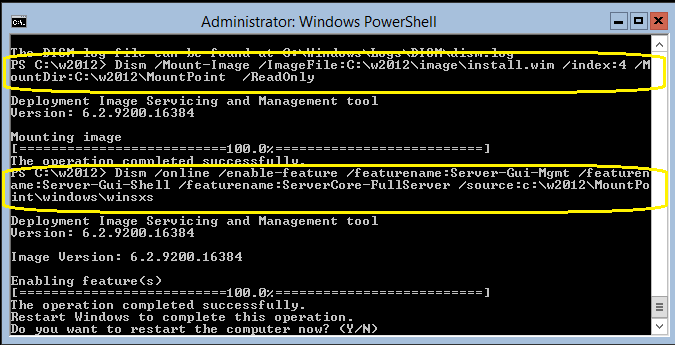 The Server Core does not have GUI and have a minimal footprint which helps to secure the server running Hyper-V role, for example. The benefit of using Core version, which is now the default version, is to reduced attack surface, reduced maintenance, consume fewer hardware resources than traditional FULL GUI Server and offer increased stability due to lesser running application. But there is a trick : while you can switch between Core and Full and vice versa, if you installed Server Core version and then decide to go with a Server with a GUI, the payload that has the interface is not installed and you will need to provide the source path. Server Virtualization. This module looks at all of the new server virtualization features and capabilities in Windows Server 2012 Hyper-V, focusing on scenarios including scale and performance, with a lot of attention given to how Windows Server 2012 greatly expands support for host processors and memory. 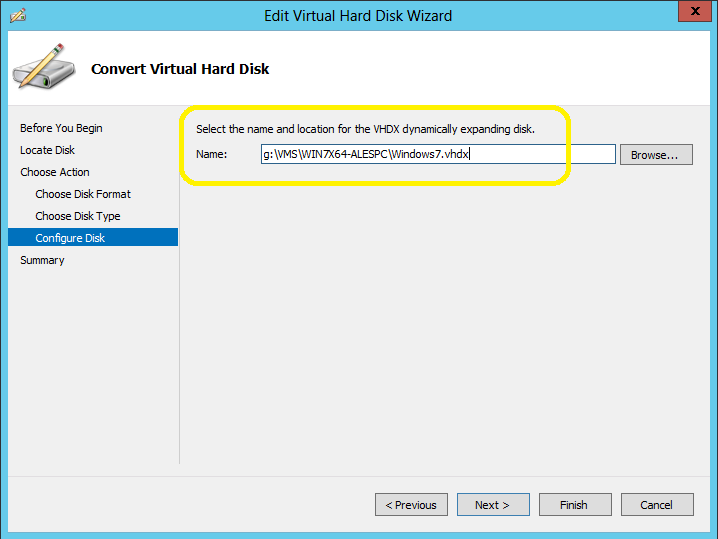 Mobility and availability are addressed with Hyper-V Replica. This module serves as a lead-in to the Windows Server 2012: Server Virtualization course. Management & Automation. This module focuses on the new features in Windows Server 2012 that are designed to simplify the server management experience. It provides an overview of standards-based management with Windows Management Framework (WMF), Windows PowerShell 3.0, and the new Server Manager. This module serves as a lead-in to the Windows Server 2012: Management & Automation course. Networking. This module provides a closer look at the features of Windows Server 2012 that facilitate more efficient and cost-effective networking management. The module covers topics including Hyper‑V Network Virtualization, network interface card (NIC) teaming, IP address management (IPAM) and Quality of Service (QoS). After completing this module, you will have a clear understanding of all of the new networking-related features that Windows Server 2012 introduces, and will be able to dive deeper into the key networking enhancements in the Windows Server 2012: Networking course. Storage. This module introduces several new storage features and capabilities in Windows Server 2012, including Storage Spaces, SMB 3.0, advancements at the file system and storage layers of the storage stack, and improvements to how you can cluster storage. This module serves as a lead-in to the Windows Server 2012: Storage course. Identity and Access. This module looks at the challenges facing today’s organizations as they strive to give workers access to data and information—across varied networks and devices—while still keeping costs down. This module focuses on three enhancements that help organizations to meet these challenges: Dynamic Access Control, Active Directory Domain Services (AD DS), and DirectAccess. By the end of this module, you will be able to dive deeper into the key identity and access enhancements in the Windows Server 2012: Identity and Access course. Virtual Desktop Infrastructure. Windows Server 2012 Remote Desktop Services (RDS) provides a single infrastructure to enable both virtual and session-based desktops and RemoteApp programs. This module looks at the enhancements that Windows Server 2012 brings to RDS, including centralized publishing of RemoteApp and desktops, intelligent updating, RemoteFX enhancements, and User Profile disks. By the end of this module, you will be able to dive deeper into Virtual Desktop Infrastructure (VDI) enhancements in the Windows Server 2012: Virtual Desktop Infrastructure course. Web and Application Platform. This module explores how Windows Server 2012 supports modern applications by delivering an application platform that provides high performance and supports high-density applications. The module also describes new capabilities in Windows Server 2012 that support delivery of modern applications. The module explains how the new capabilities in Windows Server 2012 tackle the challenges of multitenant high-density websites, high-performance web applications, and consistent and repeatable configurations. By the end of this module, you will be able to dive deeper on these topics in the Windows Server 2012: Web and Application Platform course. Windows 2012 USB’s to give away at Windows 2012 Road Show . Register now! That’s right if you attend the Windows 2012 Road Show in Australia, you can end up with an Windows 2012 USB . Note: The USB contains an trial version of Windows 2012. * Veeam Software is a Microsoft Gold ISV partner and has recently won the 2012 Microsoft Management and Virtualization Partner of the Year award. Veeam Backup & Replication provides fast, flexible and reliable recovery of virtualized applications and data. 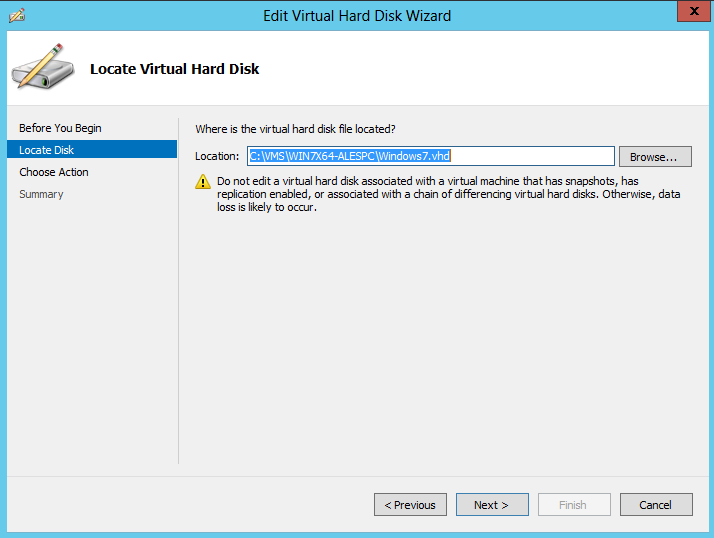 It unifies backup and replication in a single solution, increases the value of backup and reinvents data protection for Microsoft Hyper-V. Veeam also offers customers Veeam ONE, which provides 24×7 real-time monitoring, performance analysis, resource optimization and management reporting for virtualized environments. Veeam also extends deep into virtualization monitoring in Microsoft System Centre 2012 with Veeam Management Pack™ (MP). Veeam MP helps businesses manage physical and virtual infrastructures, applications and dependencies from a single console.